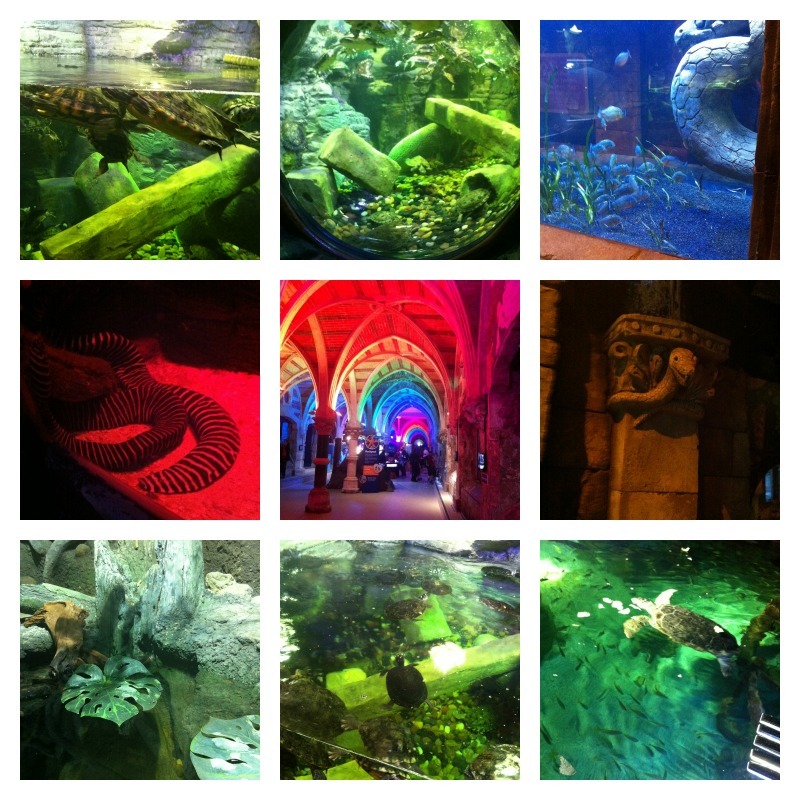 Brighton’s Sea Life Centre is tucked underground just opposite the pier, and is the perfect place to escape on a drizzly Sussex day. 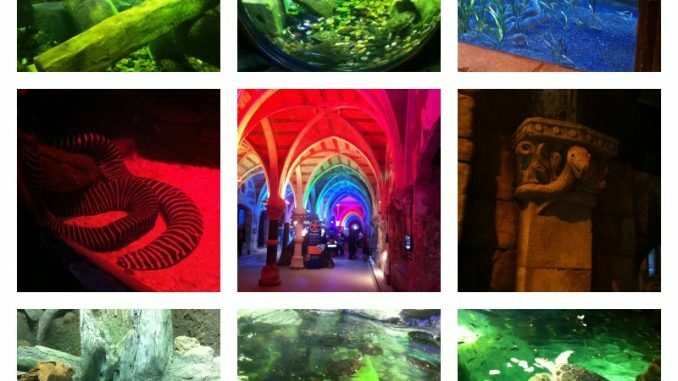 At over 140 years old, it’s the world’s oldest operating aquarium. Every year they add something new, and this year it’s a Rainforest Adventure area. We were invited along on Saturday to check it out. Star of the rainforest show is a recently rescued 9 foot anaconda. This snake will apparently grow to up to 14 feet in length and exists on a diet of several rodents and a stick of Brighton rock per week. OK, maybe not the rock but it was definitely casting a beady eye over the small boys who accompanied me. I counted and I don’t think I lost one. Their parents haven’t complained, anyway. We really loved the terrapin tank, home to 48 of these mini turtles, all swimming about like billy-o. There are also deadly piranhas and poisonous dart frogs. It’s quite small as rainforests go, but they’ve packed a lot in. Elsewhere you can visit the main tank to see the centre’s giant sea turtles, who were recently in the headlines for getting it on during a corporate launch and thoroughly embarrassing the assembled dignitaries. You go for it, 75 year old turtles! You’ve got to get your kicks somehow when you’re basically subsisting on a diet of cabbage and more cabbage. If you go to the Sea Life centre, it’s the law that you have to go to the tank full of clownfish and announce loudly I have found Nemo, as if you were the first person ever to think of that joke. There’s a glass-bottomed boat ride, pools where you can touch crabs and starfish, and feeding demos all day. All in all it’s a fun way to pass an hour or two – this was our fourth visit and we still spotted new stuff. DON’T just rock up and buy a ticket on the door, it will cost you a ruddy fortune. At the very least book online and save yourself a few quid – this brings an individual ticket down from £17.50 to around £10. There are very often two for the price of one vouchers knocking about. Here’s one you can print out, or if you have an O2 phone their Priority Moments has a two for one Sea Life voucher valid for the next two months. It’s a great place for toddlers as there’s lots of space for them to run about. Just don’t let them climb into the anaconda tank, that’s all.